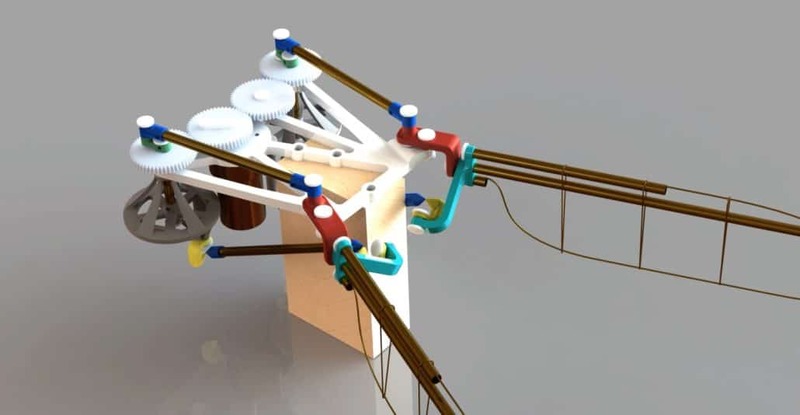 This is the manufacturing prototype for the flapping wing mechanism designed by Peter Wang and modeled by Benjamin Liu. The wing is 5cm in length to match the dimensions of a hummingbird. 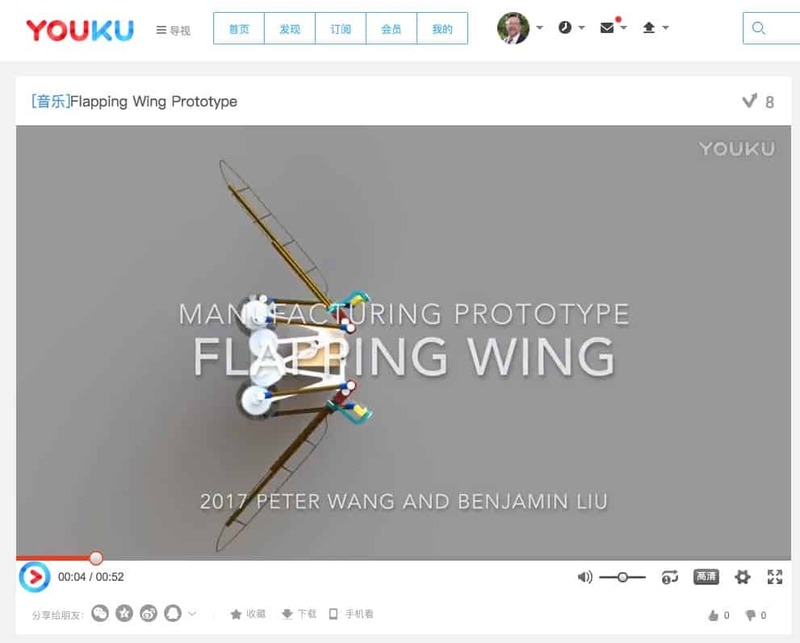 Here is a link to the youku.com video for our Chinese colleagues: Flapping Wing Prototype.